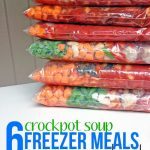 Since I’ve made hundreds of freezer meals, the number one question people ask me is, “Do you have a huge freezer?! ?” The short answer is “no.” I have the same refrigerator freezer combo as everyone else. I keep a running list of what’s in my freezer so I can use it before it expires. 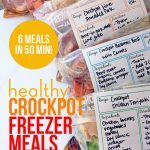 We eat homemade freezer meals almost as quick as I make them. 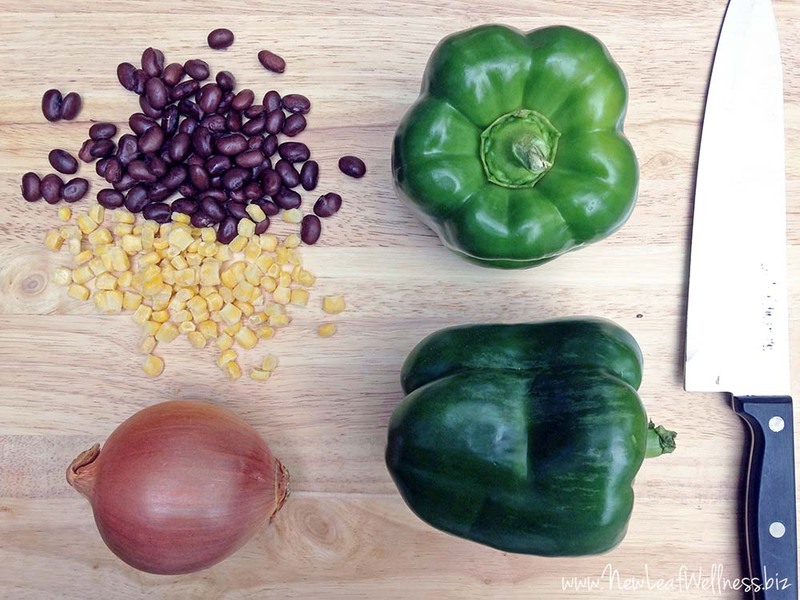 By taking advantage of the produce, sauces, and spices that I had on-hand, I was able to keep my kitchen clean and save money at the same time. I ended up buying the meat and remaining ingredients at Aldi for $30. 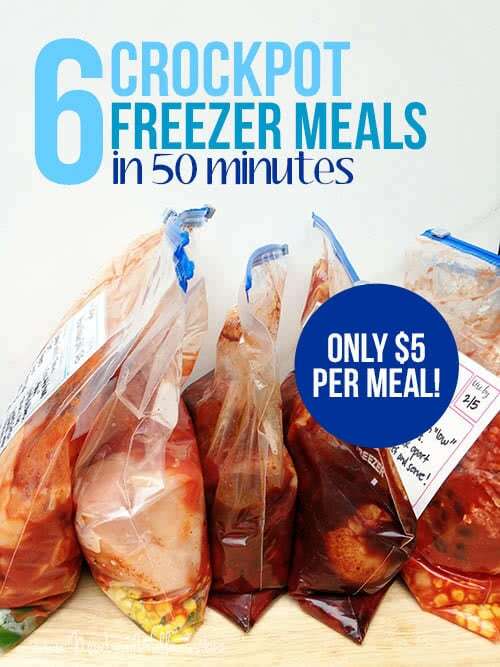 That works out to only $5 per meal! All of the recipes are very simple, so it’s likely that you have a lot of the ingredients too. These budget-friendly meals were all frozen raw so they’re very easy and quick to make. That means they won’t taste like leftovers at all when cooked. Yay! I can tell you that we’ve eaten all of these recipes many, many times before. They’re absolutely delicious! I printed my recipes so I wouldn’t have to search for them on my phone/tablet/computer. I chopped the peppers and used a food chopper (affiliate link) for the onions. I opened all of the cans and filled all of the bags in an assembly line, adding the meat last so it would be the first item dumped into my crockpot. I squeezed the air out of my freezer bags (affiliate link), sealed them, and stacked them in my freezer (so it stays neat and organized!). 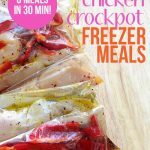 When we’re ready to eat, all I need to do is thaw in my refrigerator or in cold water, cook in my crockpot, and serve! 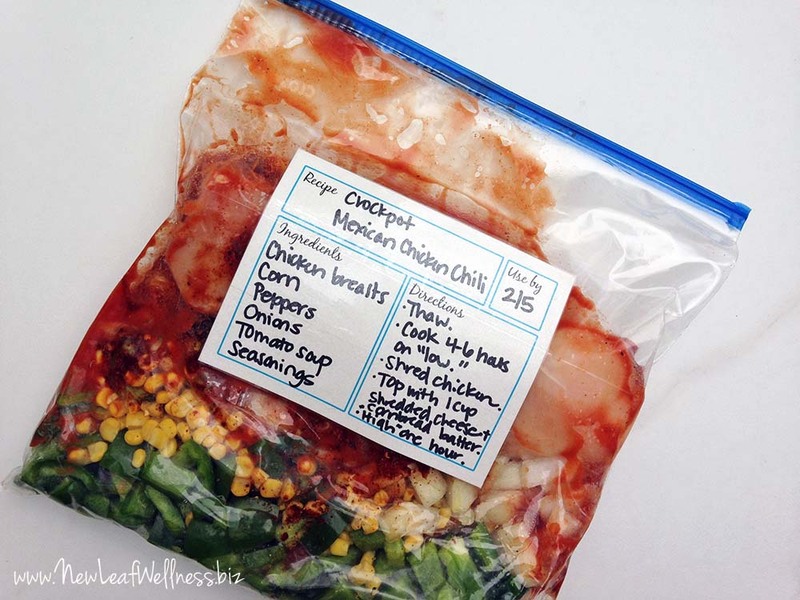 I was wondering if you had a printable for the labels you have on your freezer bags. Thank you! Thank you for the suggestions! I would love to see a few recipe alternatives for those like myself with allergies to garlic and onions. Thanks! Thank you so much for your feedback. I will think about that. I’m curious how you use your crockpot. Cooking for 4 to 8 hours hardly seems like a leave it and go kinda time scale. 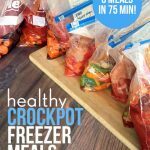 If it needs cooked for 4 and I leave it on while at work it will be far overcooked…I don’t quite understand how there is such a large range in cooking times for many crockpot meals. The time varies quite a bit between sizes and brands of slow cookers. My larger 6-qt one cooks chicken breasts in 3-4 hours, but my smaller 4-qt one needs at least 6. If you need to be away all day, I’d recommend considering a slow cooker with a timer. That way you can set it to switch to the “warm” setting at some point. I love this idea! I’ve avoided making many meals because the meat and vegetables are over cooked and have been thinking of the best way to time my cooker. I will definitely try this idea soon! I plug my crockpot into a wall timer. That way my food doesn’t overcook. Yes! That’s not a problem at all. 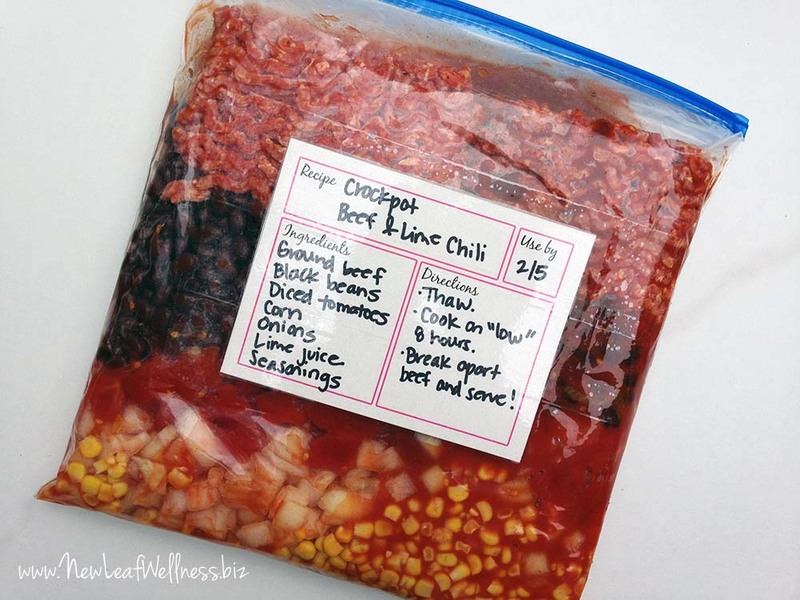 You can either add the frozen meat to the bag with the rest of the ingredients or add it the day of cooking.